With words on one side and descriptions on the other, these 48 fact-filled Knowledge Cards are a great source of condensed information—all in a deck the size of a pack of playing cards. Great buildings bring joy to the beholder. But the pleasure increases with knowledge of the bits and pieces from which they are made, of the techniques employed by their builders, of stylistic lineage and deliberate reference to older modes. 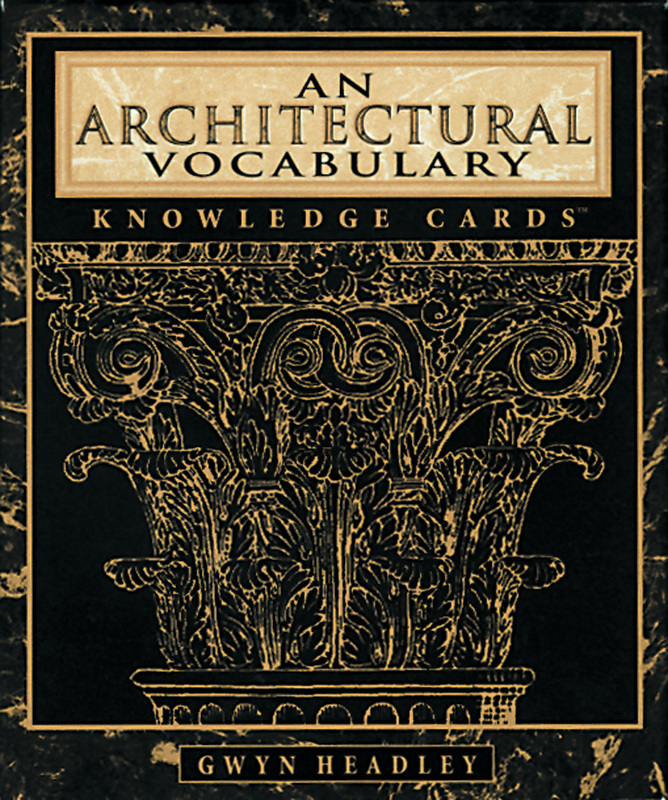 This deck of 48 Knowledge Cards introduces the concepts, history, and language of classical architecture. Each card has a deft, lucid drawing of an architectural feature on one side and a concise description on the other. At home, in the classroom, or on your Grand Tour, you’ll be delighted with this entertaining and remarkably informative collection—and you’ll never mistake an apse for an architrave again. Gwyn Headley is the author of many books on American and British architecture.